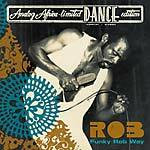 Soundway re-issue Rob's second album for the first time outside Ghana. Rob was an enigmatic recording artist from Ghana who cut two albums for the legendary Essiebons label in 1977. 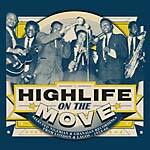 Neither of these were big domestic hits at the time and have since become prized amongst collectors in recent years. 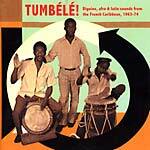 The title track from this LP was always one of the most popular on the first Soundway release Ghana Soundz, and over the years, the label has been asked many times to re-issue the LP in its entirety. 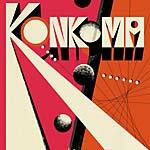 A stranger, slower offering than his more dancefloor funk-laden and spartan first LP, this record sees Rob in similar territory but with the tempo switched down and the introspection turned up. Rob's trademark horns dominate and are supplied by the Mag-2, an army band founded by leader Amponsah Rockson, who named it after the army unit the band played for -- the "magnificent" second battalion. In 1977, Rob traveled to the coastal town of Takoradi in search of Mag-2, which had an entire section of its line-up dedicated to horns, with the intention of laying out his proposal to them. Luckily for Rob, the band took him up on it. With religious overtones and a broody, slightly off-key atmosphere at points, it's certainly one of the stranger Afro-funk records to come out of West Africa but with tracks like "Loose Up Yourself" and "Make It Fast, Make It Slow," he nails it for sure.